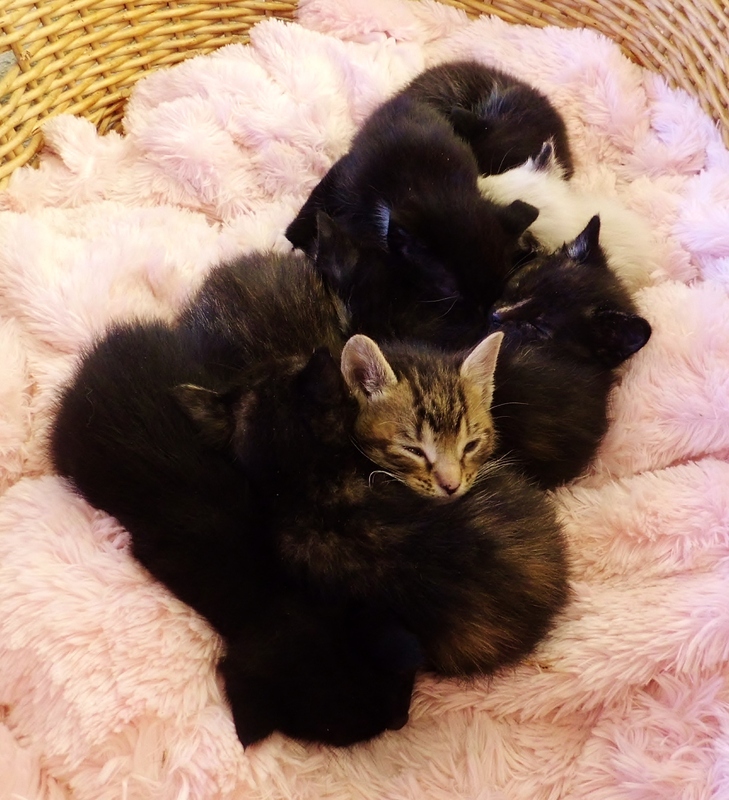 The kids are starting to fill the kitty bed. They take naps together less and less and spend more and more time “foraging” and playing. 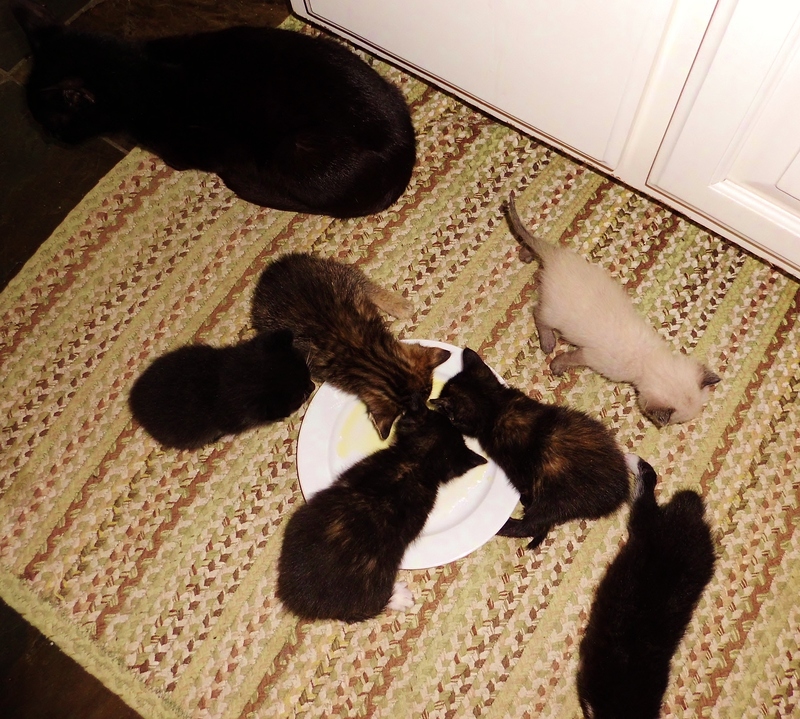 I poured a bit of the kitten formula on a shallow plate to let them lick it clean. Little Mulder is the only kitten who doesn’t know how to do it. I still feed him daily with her bottle. He still has to fight for a spot at Lori’s table. Don’t worry, I give him several private dining experiences with mom every day. 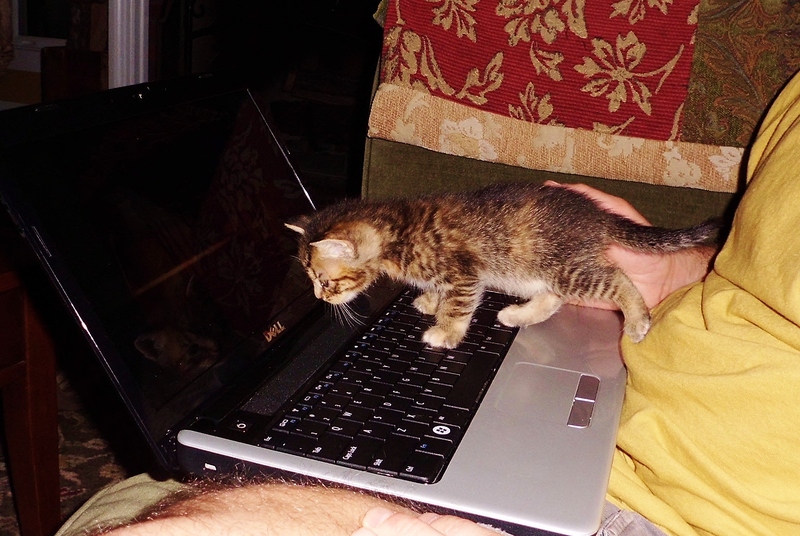 Billy was fascinated with a bird video on Jim’s lap top. 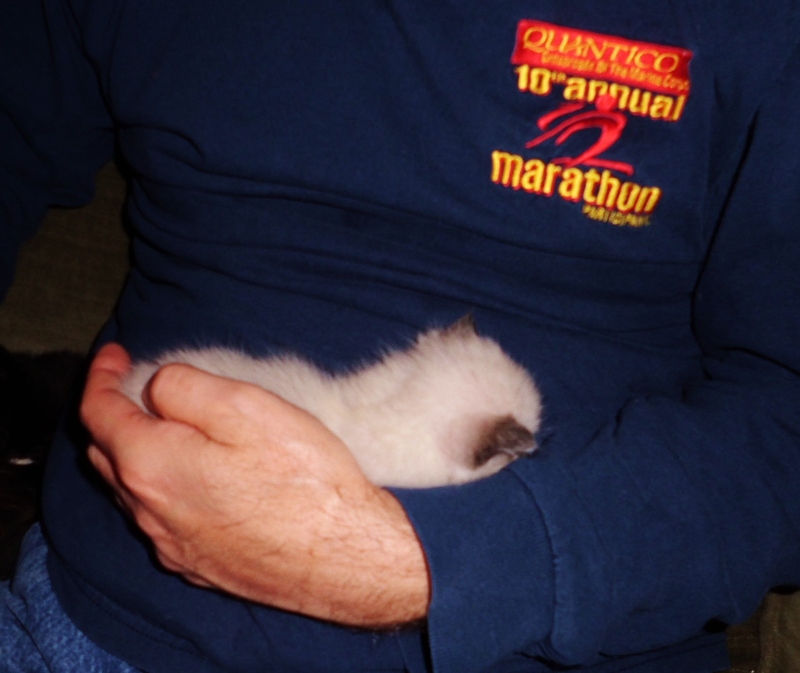 Jim wanted me to make sure his Marine Corps Half-Marathon logo showed up in the picture. PS, Jim did NOT really say that. You knew that already. Fear not, folks will be fighting over this little guy. He’ll find a great home. They are all adorable. What will happen to mama cat? Older ones are hard to adopt out. Hope she gets a good place, too. Remember two years ago when I did this? 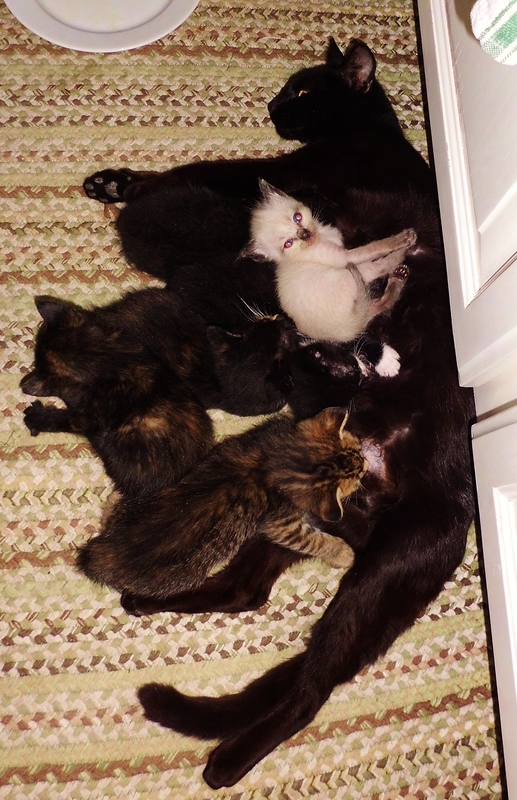 All kitties including mamma got adopted. She’s a very sweet girl and I’ll be volunteering there so I’ll extole her virtues to all potiential kitty parents. I got her back!